I composed a new SEO Rapper song called, #SEOvsSEM that should help drive home the point. Check it out. As an SEM specialist, much time is spent doing search engine optimization and managing pay per click ads. Both forms of search engine marketing require a certain level of research, testing, and maintenance. In this article, I aim to highlight the benefits of doing both simultaneously and showcase where they intersect from a research and marketing perspective. 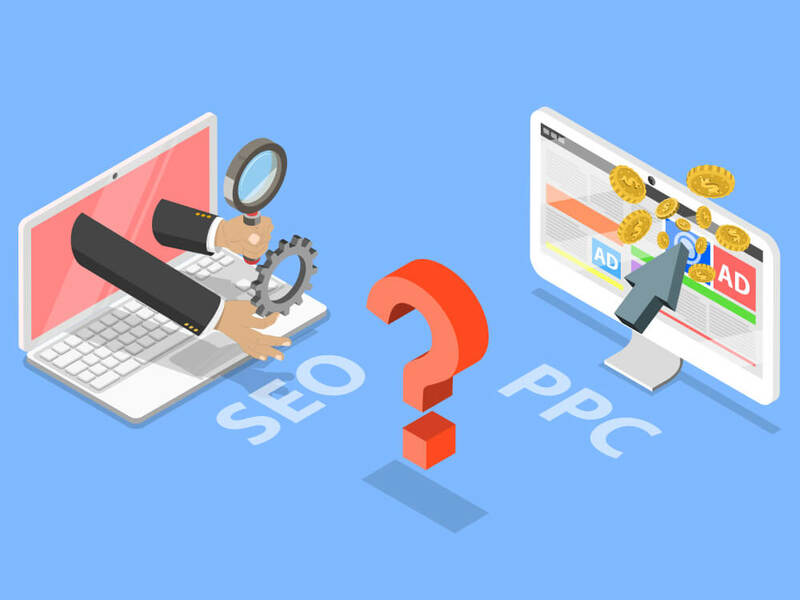 Whether it’s organic search vs. paid search, we are still dealing with search engines and capturing visits from users who search for available services. There are several areas where search engine optimization and pay per click management can assist in getting the best results. Keyword research is typically the first step when preparing to optimize a web page or creating a paid ad campaign in Google Ads or Bing Adcenter. There must be a proper understanding of which keywords and phrases are being searched the most and getting the best engagement. 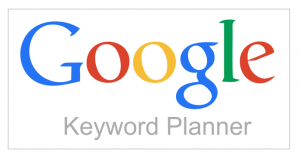 Google’s Keyword Planner is a free tool that allows you to input keywords and retrieve search data like average monthly searches, the average cost per click, amount of competition and more. Once you’ve identified the top keywords for your product or service, search them. Pay close attention to the search results page. You should see a series of paid ads at the top and bottom, local listings (if it’s a local search) and natural listings. These listings not only represent your competition, they also provide ad examples and blogging topics you can use. Review the paid ads for relevance. Are the companies who are actively bidding on the same phrases providing the same or similar service? If so, great. Observe the natural listings on page 1 & 2 of the search results. Are any competitive blogs ranking for similar search terms? If so, consider writing your own post, targeting the same keywords, with your companies point of view on the subject matter. Ad text and meta descriptions present the first opportunity for you to educate the user about what is on your page, prior to them clicking. Ad text is the title and description used within the Ad. It is configured during the Ads campaign setup. The meta description is the code used on the web page that describes what the page is about. It shows in the natural area of the search results when your site is listed. One benefit to doing PPC and SEO is the ability to test ads and descriptions. You can write 2-3 different ads and allow Google Ads to randomly display them when searched. Once the paid campaign is active and has been running, analyze the performance. Which ads were shown the most? Which ads had the most clicks? More importantly, which ads led to website conversions? Depending on how much search volume the keywords had, you may have enough data to analyze the same day or in 30 days or less. Whichever ad has the best performance should be used in the meta description. Since search engine optimization takes much time, doing this step ensures that when your website does finally show on page 1 of search engines, your listing has a higher likelihood of getting the click and converting the web visitor into a lead. Depending on what position your company is in, you may need to leverage search engine marketing for branding and product/service promotion. For example, your website may rank well for a certain product or service, but it doesn’t get great engagement. Consider bidding on the same term in Ads and using the ad text to support your brand and highlight features and benefits of using your company. The search result page would then have an ad from your company with branding at the top of the page and then your natural listing more focused on the service benefits below. It’s proven that Ads usage can impact organic clicks. The ability to test user engagement and conversions is another benefit to doing search engine optimization and pay per click management simultaneously. With paid ads, you can create landing pages and test them differently. You may want to test the tone of voice in the content, choice of images, call to actions, form placement, button usage and more. Make improvements to the page and analyze the results to see which version of the page gets the best engagement and ultimately converts at the highest percentage rate. When you determine what version of the landing page content is engaging and converting the best, update the target optimized page on your website with the same content, CTA’s and information from the landing page. This will help you create a landing page that converts well for both organic and paid traffic. Timing is the biggest reason you should consider doing SEO and PPC campaigns together. On average, especially for a new website, search engine optimization could take months or years (depending on industry and competition). Most new businesses don’t have that kind of time to wait for website traffic and leads. Pay Per Click campaigns can be set up in one day with ads running shortly thereafter. True enough, it is budget driven, but the upfront user data and leads generated will make your SEO efforts better and provide a faster return on your investment.